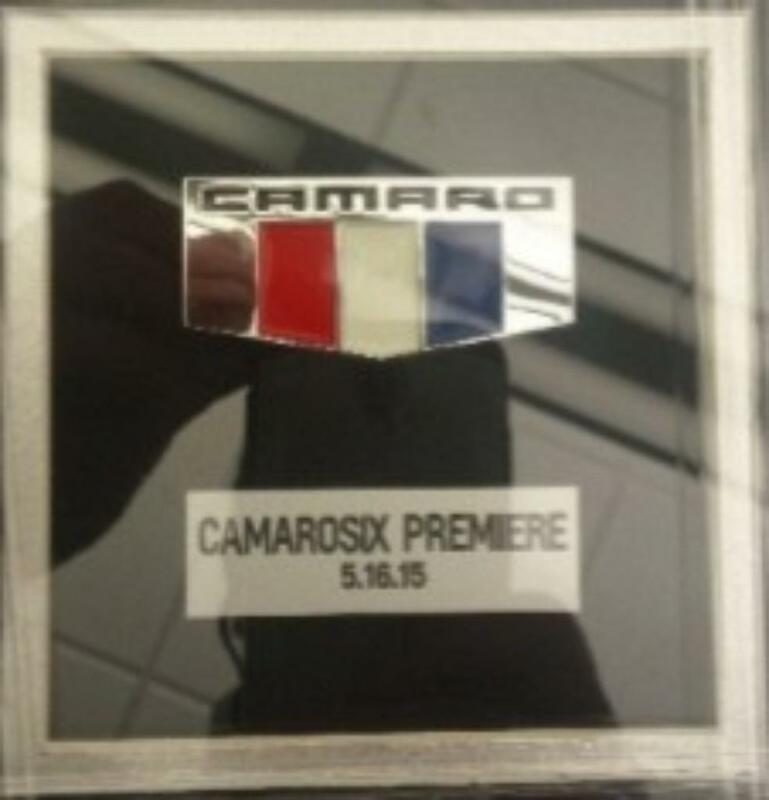 2015 Camaro Premier Plaque Signed By Al Oppenheiser, Chev. Camaro Chief Eng. Signed by Al Oppenheiser, Chevrolet Camaro Chief Engineer. From the 2016 Camaro premier on Belle Isle.